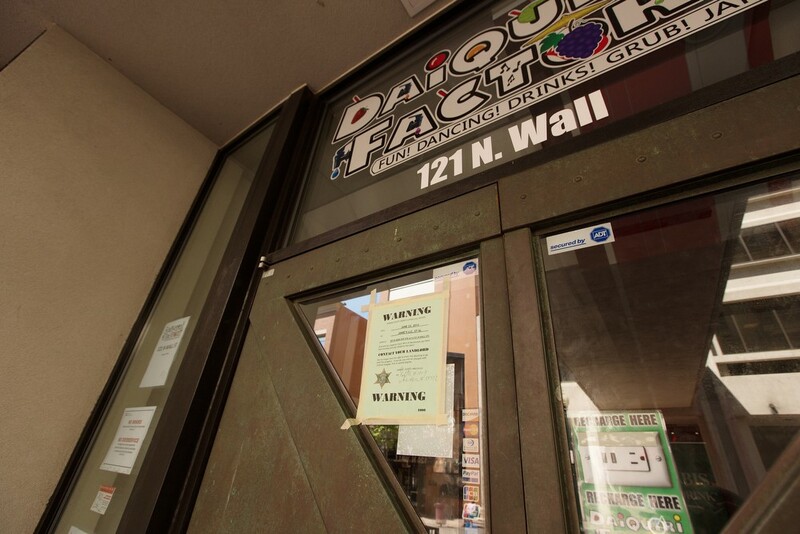 An eviction notice is posted on the front door of the Daiquiri Factory. The latest chapter in the strange and seemingly never-ending story of the Spokane Downtown Daiquiri Factory unfolded today as the Spokane County Sheriff's Office stepped to assist in the eviction of the bar. The Spokesman reports that the building's landlord claims Daiquiri Factory owner Jamie Pendleton owes more that $2,200 in rent and failed to pay the $30,000 bond that would have postponed the eviction. Sheriff's Office Spokesman Craig Chamberlin says the landlord was on site today as deputies posted the notice and a locksmith changed the building's locks. (Even within the city, the county sheriff's office carries out evictions.) Chamberlin says neither Pendleton nor anyone representing him was present. We first wrote about the Daiquiri Factory back in January when its menu included a drink called "Date Grape Koolaid," which also drew national media coverage. Since, the story has spiraled into boycotts, protests and the bar firing back by calling those with objections "haters." Meanwhile, the bar is also facing trademark infringement lawsuits from Gonzaga University and a bar in Atlanta called The Daiquiri Factory, and a man was stabbed there early Saturday. But, as usual, the bar promised throughout the weekend that the party wouldn't stop just because of the haters.